The Crag End Landslip project comprises the reconstruction of a 300m section of the B6344 near Rothbury for Northumberland County Council. 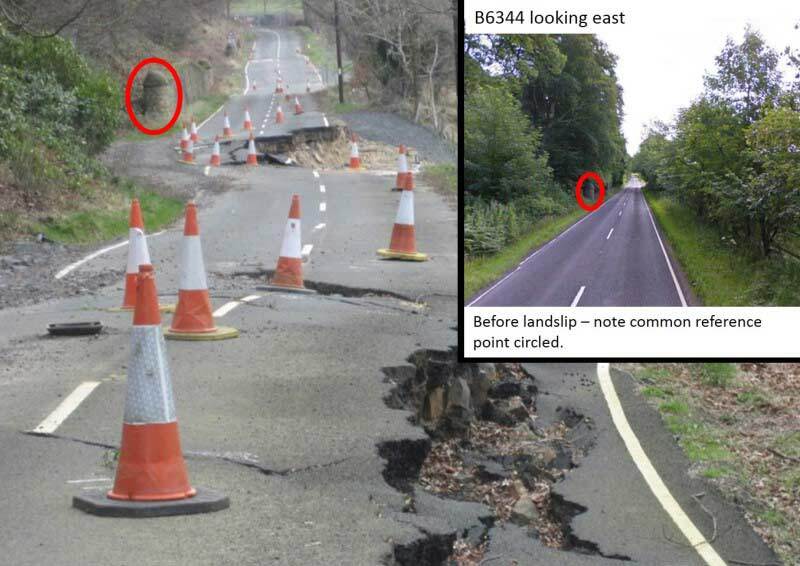 Closed in December 2012 following multiple landslips and failure of an existing retaining wall, triggered by one of the wettest periods on record, the road provides the main link between Rothbury and the principal road network. The slope and River Coquet below the road form a Site of Special Scientific Interest and the land upslope is part of the Cragside Estate owned by the National Trust. Closure has had a significant socio-economic impact, and as well as being a major inconvenience to residents it affected the main industries in Coquetdale - farming, forestry and tourism. VBA (VolkerStevin Boskalis Atkins joint venture) designed and constructed an anchored bored-piled retaining wall to support the road and an innovative passive dewatering system to reduce groundwater pressure. This robust, low maintenance solution ends decades of instability, leaving an engineering legacy for Rothbury. The client was keen to reopen the road as soon as possible as residents were faced with a substantial detour to access Rothbury. The local economy depends heavily on tourism which had been badly hit by the road closure. VBA has designed and implemented a solution comprising two main elements – a deep dewatering system to reduce the risk of instability by lowering artesian groundwater pressures, and an anchored bored pile retaining wall to support the road in the event of a slip. The team faced numerous challenges including variable ground conditions, high groundwater and difficult access on a constrained site. Part 1 will give an overview of the project, discussing the geology and hydrogeology, challenges faced during intrusive ground investigations, causes of instability and the landslip mechanism. Part 2 will cover the technically complex bored pile anchored retaining wall design, provide an overview of the chosen passive dewatering system, and discuss the design challenges faced. Part 3 will present an overview of construction work and the results of the first year’s monitoring. Click the ‘speaker’ tab for more about our speakers. A joint meeting with the Geological Society. Refreshments from 18.00.